Change things up with a short trip to The Cedars in Hahndorf (about 30 minutes away). Dedicate the 18th (Thu) to wine at some of the top wineries in the area. 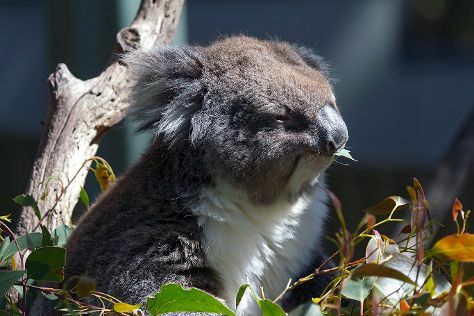 Next up on the itinerary: admire the natural beauty at Adelaide Botanic Garden, get a new perspective on nature at South Australian Museum, steep yourself in history at Adelaide Oval, and admire nature's wide array of creatures at Adelaide Zoo. For where to stay, reviews, and more tourist information, read Adelaide trip itinerary maker . Sydney to Adelaide is an approximately 4.5-hour flight. You can also drive; or take a bus. Traveling from Sydney in April, Adelaide is a bit cooler at night with lows of 14°C. Wrap up your sightseeing on the 21st (Sun) to allow time to travel to Williamstown. Williamstown is a small South Australian village on the southern fringe of the Barossa Valley wine-growing region. Start off your visit on the 22nd (Mon): tour the pleasant surroundings at Barossa Goldfields Walking Trail, do a tasting at Fernfield Wines, learn about winemaking at Brockenchack Wines, don't miss a visit to The Herbig Family Tree, then see the interesting displays at National Motor Museum, and finally make a trip to Whispering Wall. Here are some ideas for day two: explore the wealth of natural beauty at Hale Conservation Park, look for all kinds of wild species at Gorge Wildlife Park, then brush up on your knowledge of spirits at Applewood Distillery, and finally get to know the fascinating history of Gumeracha. To find more things to do, where to stay, photos, and more tourist information, go to the Williamstown itinerary planner . Traveling by car from Adelaide to Williamstown takes an hour. Expect a daytime high around 26°C in April, and nighttime lows around 13°C. Finish up your sightseeing early on the 23rd (Tue) so you can travel back home.